We all use Facebook applications, even if we have a week full of work or other things to do. 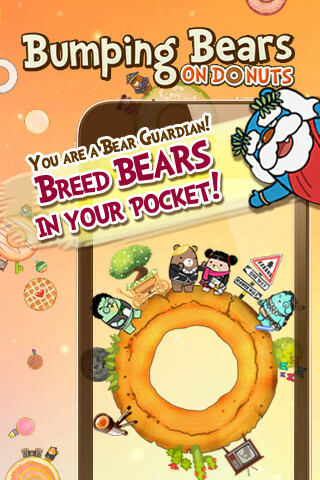 Bumping Bears is about a pet that you maintain through Facebook and your iOS device. 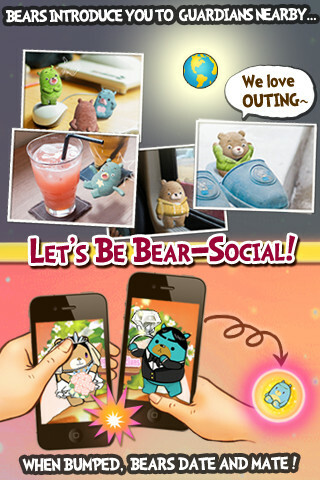 As any other pet application, you can play dress up with your bear with over one hundred thousand combinations available to either buy through iTunes or through the application. The bears live on cookies and donuts; however they do not feed themselves. So if older users remember the days when they owned a Tamagotchi, it’s basically the same type of work. 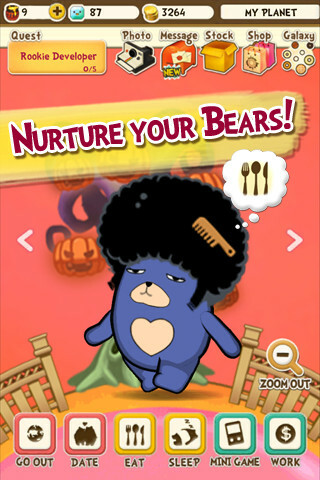 While you customize your bear and the planet it lives on, you have to keep the bear happy with the basics such as food and water. Now why is the application called Bumping Bears? You can meet other bears in your area and bump into them to have bear cubs. The game starts looking like a pink and fluffy version of The Sims and you aren’t paying a cent for any of it. They need your love and attention, so you need to keep them happy and healthy. 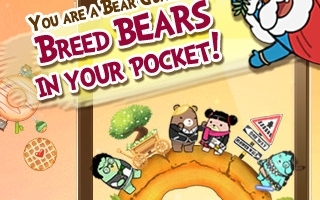 This means that you have to take them shopping, tuck them in bed, have them learn new things and meet other bears. You can keep up to three bears at once because having more of them could either be too entertaining and time consuming or just tedious for users who are just starting to play the game. Your bears can easily turn into professionals and you have to guide them through their process. There are up to 70 professions in the game, so the possibilities are just endless. How do you choose a profession? Just guide them through missions, quests and mini games and they will find their way because you don’t get to choose their career. The game is absolutely free, but you can buy them unique items through Honey Pot purchasing. This can only be done through the Itunes store and it can easily be turned off if your kids are using the application and you need peace of mind. There are certain price ranges depending on the amount of honeypots you can buy, so there are prices for any kind of pocket. Download Link : Download Bumping Bears.